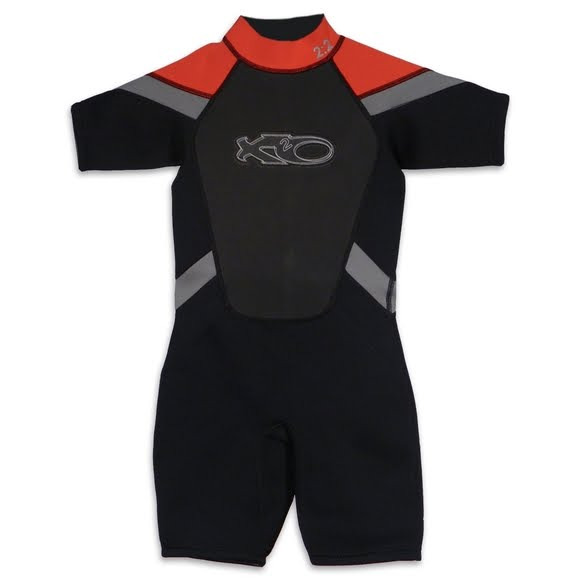 Don't let chilly water temperatures keep you from having fun in the water with the the X2O Boys Youth Spring Shorty 2x2mm Wetsuit. This premium wetsuit features Mesh Skin Ade, Flatlock stitch seams, Snakeskin™, and V-Lock neck closure. All X2O wetsuits are made from high quality 2x2 mm closed cell, 4-way stretch neoprene. Don&apos;t let chilly water temperatures keep you from having fun in the water with the the X2O Boys Youth Spring Shorty 2x2mm Wetsuit. This premium wetsuit features Mesh Skin Ade, Flatlock stitch seams, Snakeskin™, and V-Lock neck closure. All X2O wetsuits are made from high quality 2x2 mm closed cell, 4-way stretch neoprene. This soft, stretchable and ozone resistant foam provides comfort and flexibility for all types of water sports activities.